I thought I'd share a board for an upcoming wedding on 2.28.09. I'm excited to see how it all materializes, it's going to require major effort from our team and our partners. 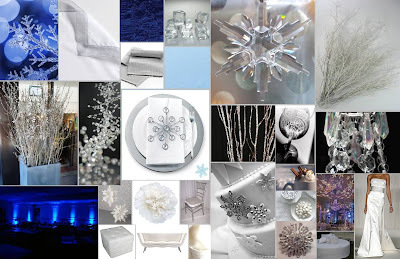 The object is to transform a utility gym into a "winter wonderland" (to use the bride's words) & on a modest budget. And this gym? Not so pretty. We love a challenge & we're confident it will look amazing when we are finished!